Beijing 1995. The Fourth World Conference on Women. 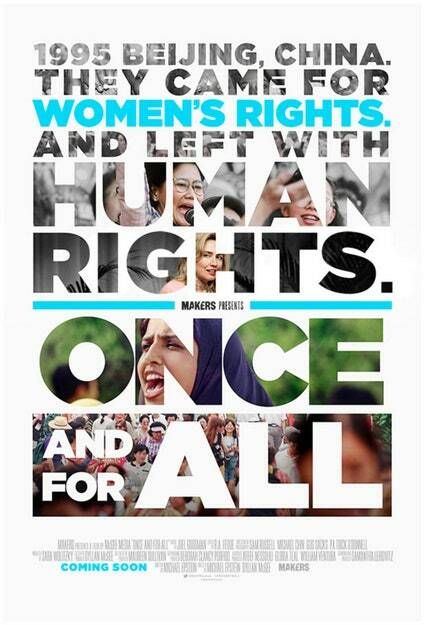 A watershed event in the global struggle for women’s rights. With original interviews, including Hillary Clinton and archival footage, the film captures the suspenseful months leading up to Beijing and the high-stakes drama of the event itself. Through the eyes of global leaders and grassroots women, it offers a window into Beijing’s historic days, its impact, and its unfinished legacy. The film is intended to memorialize an unprecedented moment in time and reignite momentum for lasting change. Join us as we view and discuss this powerful film with local leaders working every day to empower women. Mary grew up in NYC and has lived in the Ossining area for 38 years. She is Voter Service Director of the League of Women Voters of New Castle and serves on the Voter Service committee of the League of Women Voters of Westchester. Mary was a public school math teacher in NYC and in Orange County. She worked for many years in educational publishing. She has a BA from Mercy College and a MAT degree from Fairleigh Dickinson University. She is currently an adjunct instructor of mathematics at Westchester Community College. Elizabeth is a former attorney who received her undergraduate degree from the University of Michigan and her law degree from Columbia Law School. She began her legal career at Winston and Strawn and then served as an Assistant Corporation Counsel with the New York City Law Department. Throughout her career, she has been active in organizations promoting women’s rights, as well as other philanthropic organizations in Westchester.